A fully powered, full-fledged smartwatch on a budget – that’s what I would call the Amazfit Verge as. 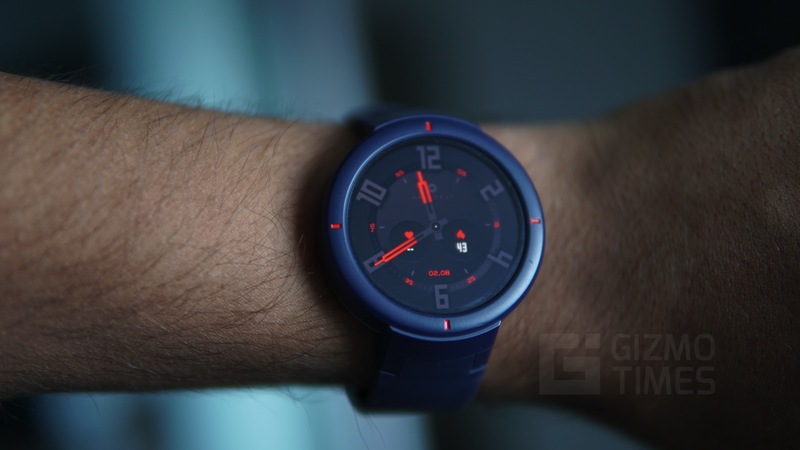 Amazfit has had quite a few products in India already, and those include both, smartwatches and fitness trackers. 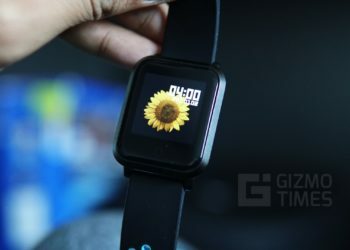 While they did arrive at competitive pricing, the need for a good smartwatch in a price that can be called affordable when compared to the others was always there. That’s where the Amazfit Verge fits in, with the price tag of Rs. 11999. 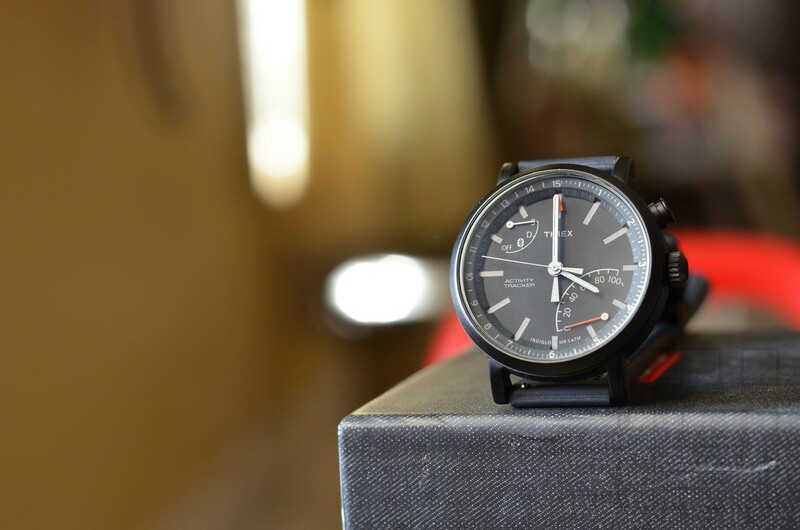 Earlier, there were the Bip and Stratos watches, but I won’t call them as great, but the Verge has it all. For starters, let’s check out the specifications of the Amazfit Verge. There isn’t a lot of difference in what the Amazfit Verge and Stratos offer, but the design makes it a lot of difference, and the weight as well does. The Verge is about 24 grams lighter and much more comfortable to wear. Over the years of using a smartwatch, my perception totally changed about them. It is much more convenient to just check for the important notifications and respond to them rather than having to pull out the much bigger smartphone which mostly lies either in the pocket or on a desk. 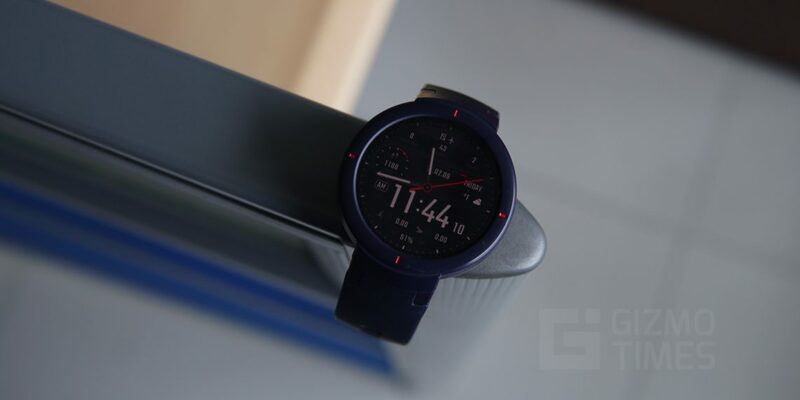 The new Amazfit Verge is clearly designed for sports and this is evident by the looks of it, the smartwatch comes with a 1.3-inch display in a plastic casing. Despite the use of polycarbonate reinforced glass, we found the build quality to be very firm and trustworthy. In terms of the design, the watch comes with a home button on the side along with the microphone to take calls. Although the travel on the button is very less, it is fairly tactile. There is also a loudspeaker on the watch for when you want to take the calls on the watch in style, however, it can also be used to listen to music in some situations. 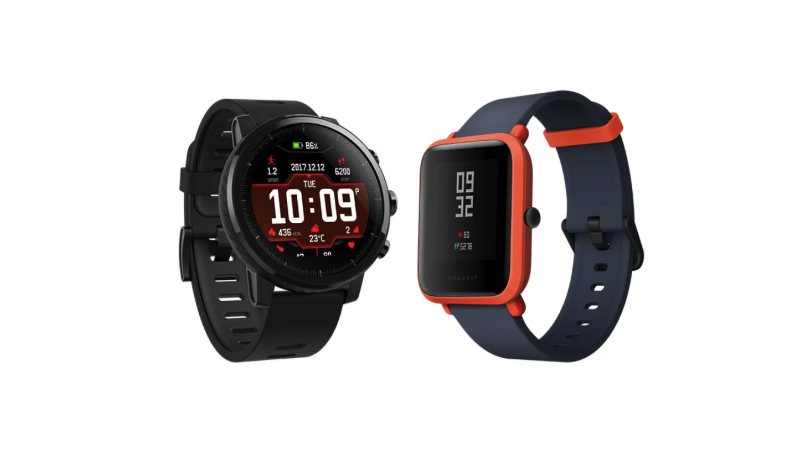 Amazfit Verge also offers guaranteed IP68 protection from dust and water and you can be confident to take it on your workouts or when it starts to rain. There is no mention on the Swimming use case and we don’t recommend you to try it unless you are ready to shell out more money for a replacement. The front of the smartwatch comes with the AMOLED display which looks very good, the display is protected by Gorilla Glass 3 from Corning. While this does protect the smartwatch from scratches and mild drops, a newer variant of Gorilla Glass would have been appreciated. 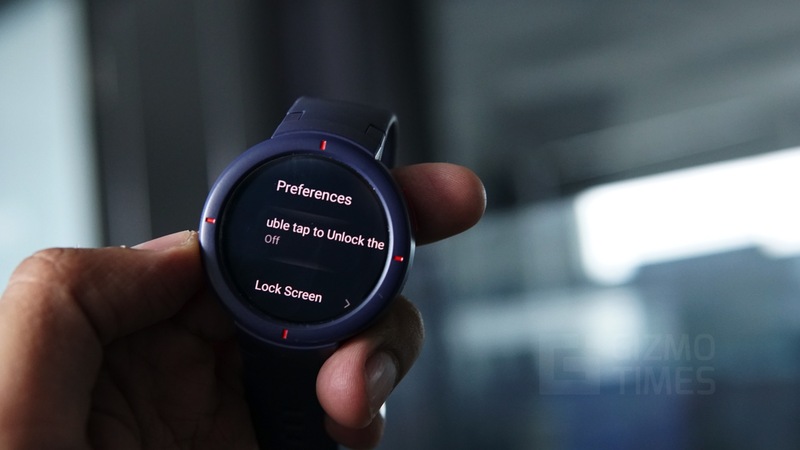 There is also an ambient light sensor to adjust the backlight automatically, this is a very important feature that is mostly skipped out on budget smartwatches. The Amazfit Verge comes with Silicon watch bands that stretch well and offer good security when worn. The buckle appears to be made of good quality and the strap has a single tooth for securing and sliding off which makes the watch slightly inconvenient to secure. While the straps are removable, the angled design on them might restrict you from choosing a random third-party band. 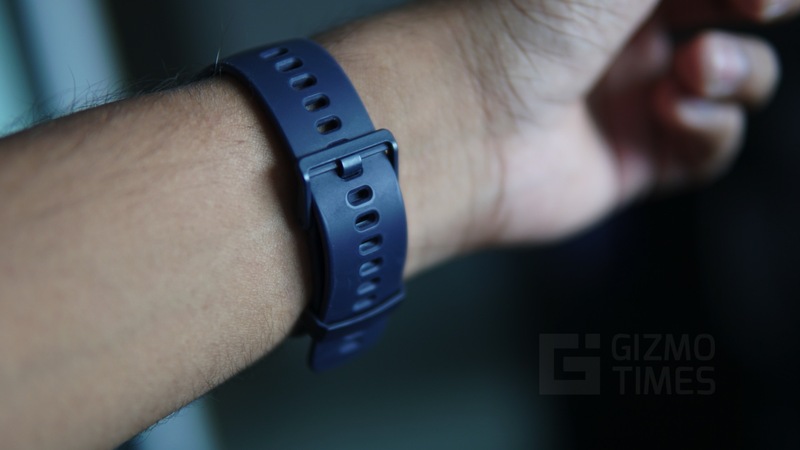 This is a move from what we saw on the Amazfit Stratos and the Bip that allowed easier replacement of the straps. The Amazfit Verge feels very durable and well-built despite being over a centimeter thick. 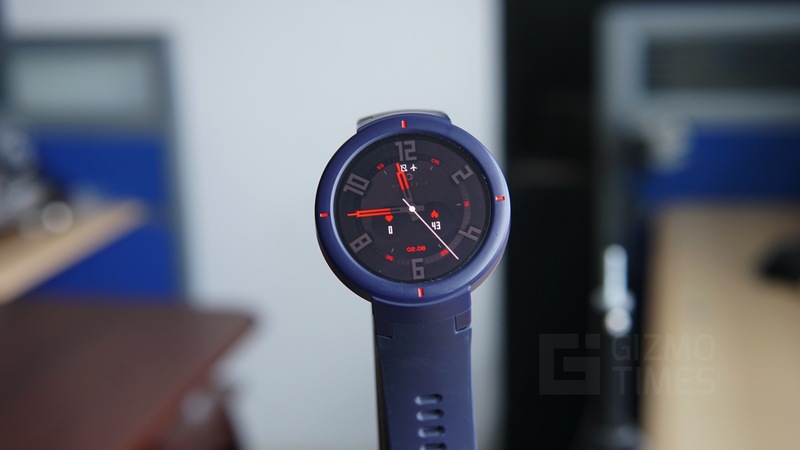 The watch is very light at about 46 grams, this is a major weight reduction over the previous models and the polycarbonate design that we’ve talked about before, gives a very sporty feel. While it might fail to grab the attention of many people it serves the purpose right. 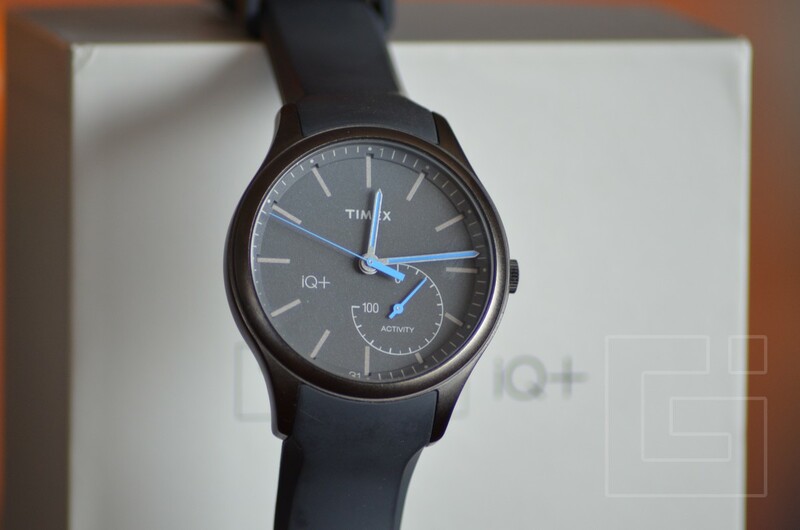 The watch has been designed with utility in mind and the design is less intrusive compared to the other fancier smartwatches that come with a heavy metal casing. 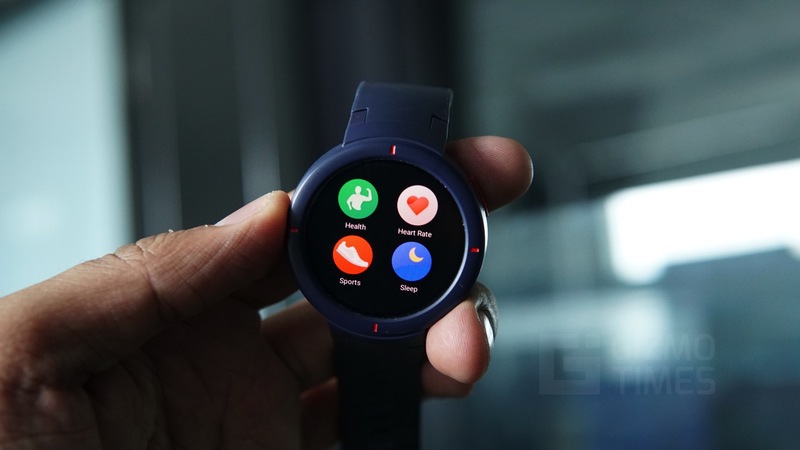 The older generation Amazfit smartwatches performed very well in terms of tracking and other roles that they were to perform, however, they suffered from poor readability. The company has taken this feedback and the 1.3-inch AMOLED display with a 360 x 360 resolution is sharp and easily readable. Also, the display is very bright and has excellent color reproduction. The colors are well saturated and the icons and other UI elements look great on the display. The official watch faces that the device comes with add great value and look very good. There is also an always-on display for a few watch faces and it displays the basic information at a relatively lower brightness. This makes it a good regular time machine while also saving battery. 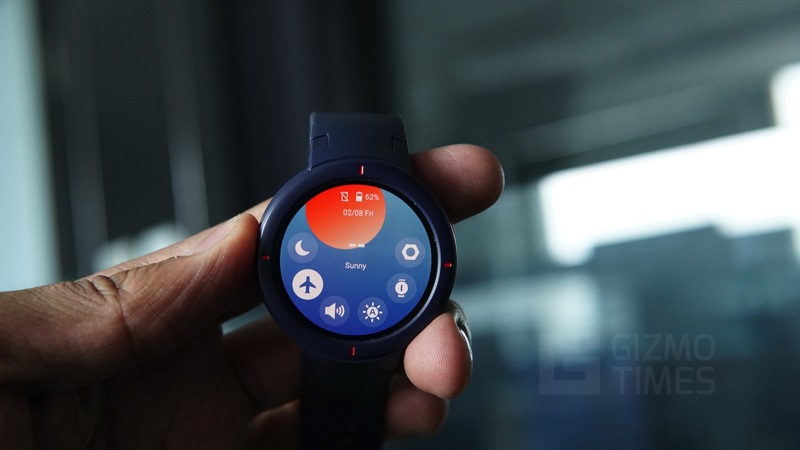 Amazfit Verge runs on a custom UI and is based on Android. The interface is well laid out with large icons for the menu and easy navigation. There was no tutorial to guide us through and the users will have to figure out the navigation themselves. The Verge also allows the users to customize the watch faces or choose among the 11 pre-installed. Swiping up from the bottom gives access to the pending notifications from the smartphone and swiping down from the top gives access to the quick settings panel with easy toggle options for the sleep mode, volume, brightness, and other options. The left and right swipes open scrolling menus and gives access to features like the Health application with Heart Rate, Sleep, and other options. There are other applications for the phone, Alarm, Timer, Compass, and the Settings. The built-in Health application shows the stats of the steps walked, floors climbed and the history of activity. The applications support 12 different physical activities to be tracked natively and swimming is not included in the list. 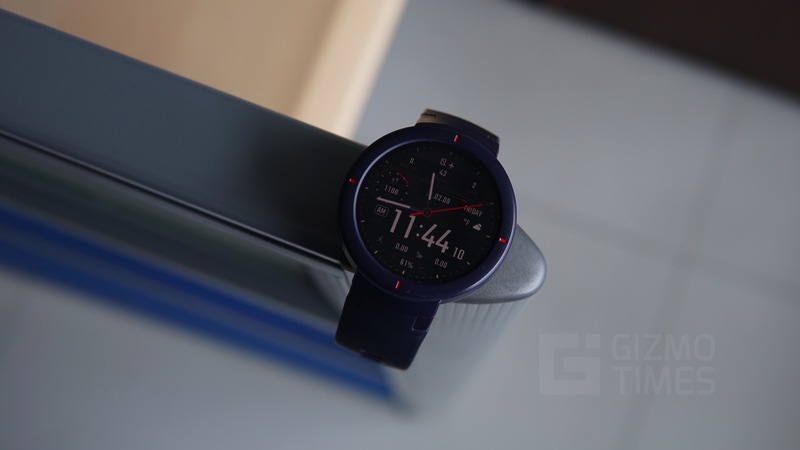 The watch also supports widgets but the number is limited to two which is a slight let-down. 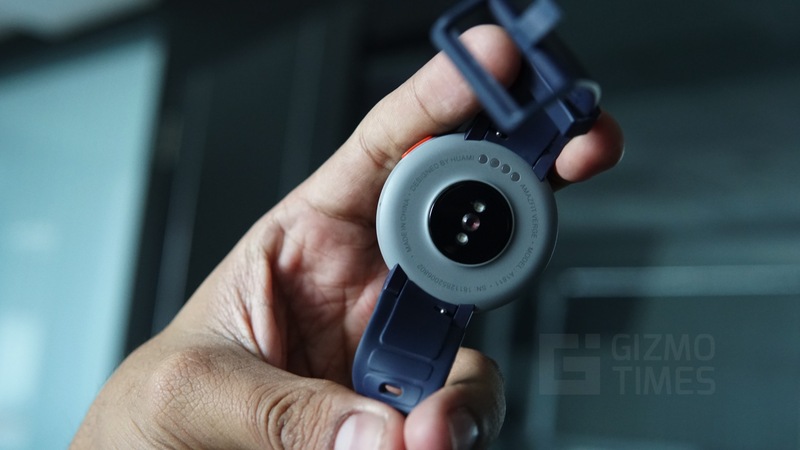 In the limited storage that the device comes with, the Amazfit Verge allows you to store and play Music files either on the speaker or through a Bluetooth headset. There is also a dedicated full numeric keypad to make calls. While listening to music and during the calls, there is a dedicated option to manage volume. There is also in-built GPS that allows it to track the distance, average speed, and the route while working outdoors. One major limitation we found was that during the activity tracking, we can only tweak the volume and the brightness. The tracking of data like heart rate, steps, and other stats during exercises are done with a good amount of detail and accuracy. This data can easily be accessed using the Amazfit Watch application. The activity tracking needs to be enabled manually and the watch doesn’t track the exercise automatically. 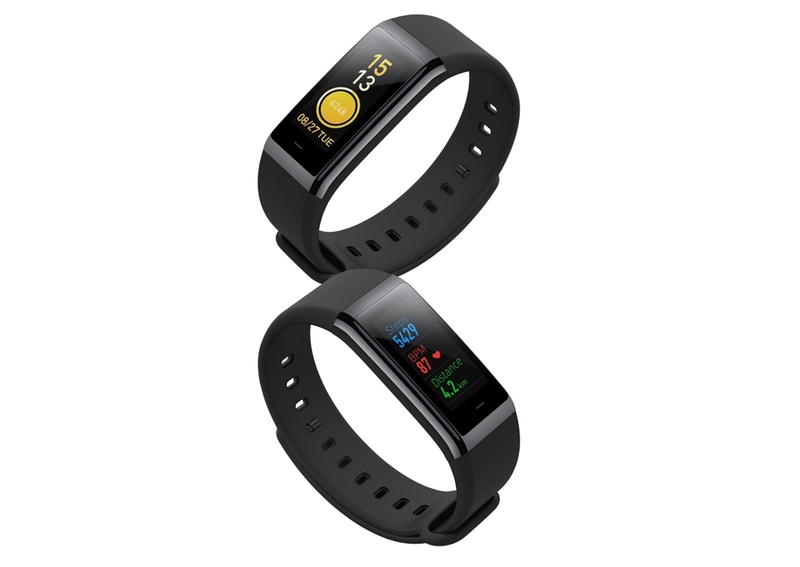 It does have an option that would prompt you and confirm the beginning and end of physical activities as it detects it. The Amazfit is equipped with a 1.2GHz dual-core processor and 512 MB RAM which does add to the limitations of the watch. We’ve sometimes experienced lag and jitter while opening several of the inbuilt applications. There are several sensors to track exercises and other ambient conditions. We also found it surprising to note that the Amazfit Verge doesn’t support installing of applications despite being based on Android. 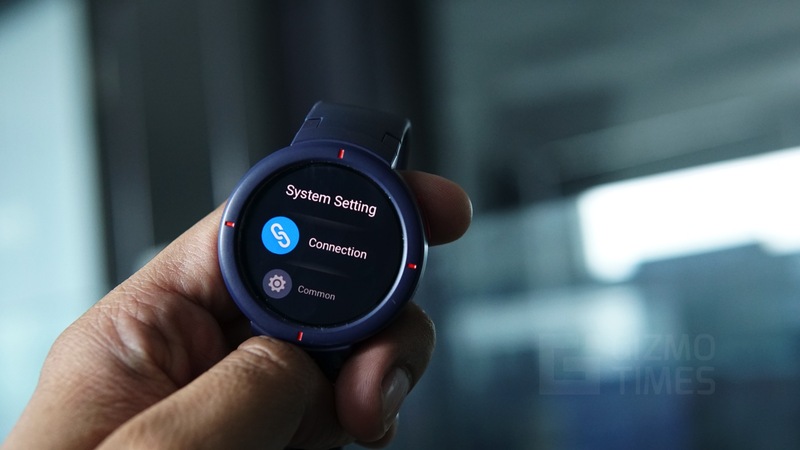 The watch also comes with support for Wi-Fi which can help with transfer for data from the smartphone and for updating it. The Amazfit Verge also supports transfers over USB with the bundled charging cradle. The file system shown is similar to that of a smartphone and can easily be accessed. The battery on the Amazfit Verge is of 390mAh capacity and the company claims a battery life of about 5 days on moderate usage. However, we got about three days of continuous usage with GPS and heart-rate monitoring turned on. By changing the brightness and turning off the always-on display we could force the watch towards the company claimed figures. Charging the Amazfit Verge to full takes about two hours and can be plugged into most USB chargers or computers. The official Amazfit application can be installed on Android and iOS to see all the fitness data and vital stats that have been recorded. The data can be sorted to display daily, weekly or monthly records. The application has been designed well to show graphical charts that can be panned across to a specific time. Sadly, the application doesn’t support exporting the data to Google Fit or even Mi Fit application. Despite the good appearance of the application, the features are very limited and several options that are generally expected cannot be tweaked from the application. Overall, the Amazfit Verge has fared pretty well during our usage period but has some minor limitations. The move to AMOLED was a lucrative one and makes the text much more legible now. The built-in speaker also adds tremendous value for making and taking phone calls. The major let down for us was the lack of support for 3rd party applications and the lack of controls on the smartphone application.